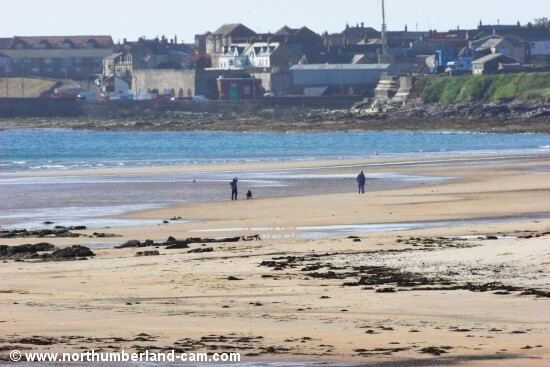 There are two main beaches at Seahouses on the north and south sides of the village and harbour. 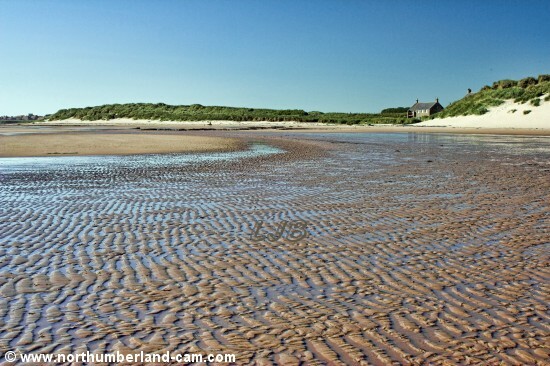 The beach on the north side of the village at St. Aidan's Dunes is a very large beach that continues to join Bamburgh Beach. 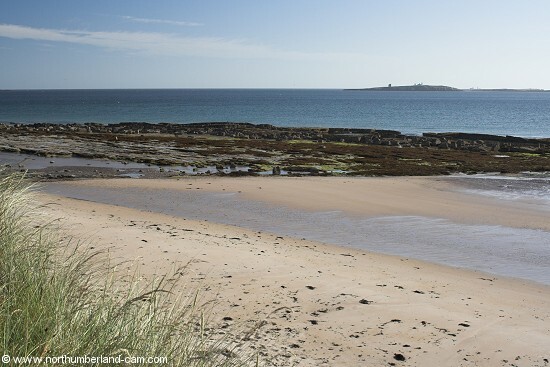 Excellent for walking it provides great views to the Farne Islands on clear days. 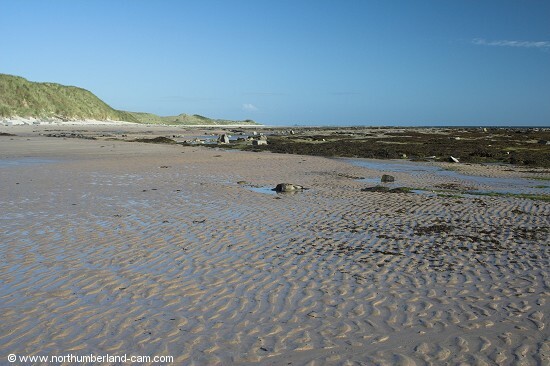 The smaller beach on the south side of the village stretches from the golf course almost to Beadnell. Photos of this beach will be added shortly. 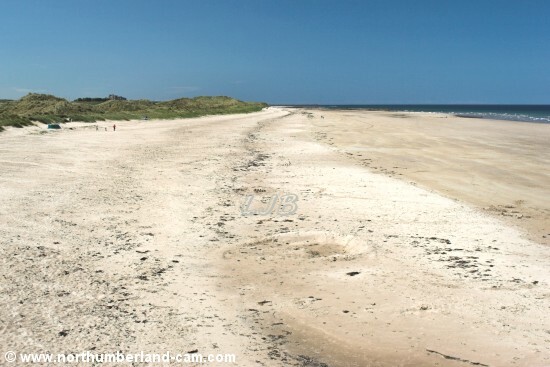 St. Aidans Dunes and the beach seen from Seahouses. View south along the beach at St. Aidan's Dunes. View north along the beach at St. Aidan's Dunes. View along the beach at St. Aidan's Dunes to Seahouses village and harbour. View from St. Aidan's dunes across the beach to the Farne Islands.